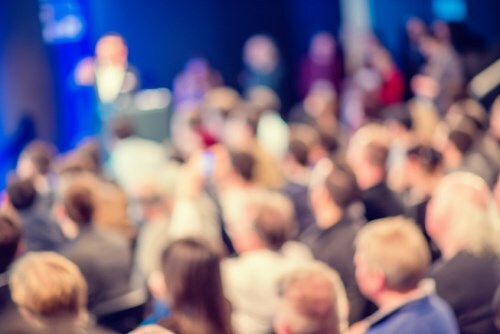 Record numbers of financial advisers have attended this year’s Professional Advisers Association (PAA) and the Institute of Financial Advisers (IFA) Roadshow that focuses on education and helping advisers achieve their Continuing Professional Development (CPD) requirements. PAA chief executive Rod Severn said: “This time round we have been fully booked in every location, in fact we have had more people turn up than were registered, so we’ve had standing room only in a couple of places. The Roadshow is currently in the North Island and will move to the South Island next week. The PAA and IFA are travelling around New Zealand for three weeks to get around to as many of their members as possible. The Roadshow is free for PAA and IFA members, but all advisers are welcome to attend to the day-long sessions that are worth CPD accredited points. These roadshows are run twice a year in March and September, however this year the PAA’s conference will be held in September in Rotorua, which is worth between 8 to 10 CPD points. “We structure it in such a way that we cater for mortgage, risk and investment, so advisers can pick and choose whichever ones (sessions) they want to attend, and they can leave if they don’t want to sit through a risk session if they do mortgages but are welcome to stay through the whole lot if they want to. “Each one is different, they’re all CPD (accredited), we structure the sessions so there in value for the adviser not just in education but also in getting CPD points. “All the way through we talk about ensuring the advisers are up to spec with legislation, or up with the current trends in risk or investments or mortgage topics and areas that are changing, we certainly aim to have the adviser walk away with three good take away points for each of their disciplines,” Severn said. 3. Financial Advice New Zealand update telling our members where we are and what to keep an eye out for. This is a 30 minute update with a very good Rob Everett video and messages from our newly elected Member Advisory Committee members and board members as well. 4. Global Market Outlook – Opportunities and Pitfalls. This session explores professional investing and considers the landscape in 2018. Also current Global Market opportunities and risks are explored in detail. 6. Risk Statements of Advice – Making Policy Comparisons Relevant for Clients. This session is a practical approach to looking at a Risk Statement of Advice and the role Research can play in supporting the advisers decision.